For almost four years now, Ukraine has been in such a state of national crisis that three million people have been displaced, half of them within the country. Eastern Ukraine, where the conflict is at its worst, is not far away from us, yet the living conditions there differ dramatically from our safe and secure life. SSAB wants to continue to help children in Ukraine who have either already lost or risk losing their families, so this year’s Christmas gift to employees is to do just that, together. The conflict, the unsettled political situation in the country and widespread alcoholism have resulted in many children in the region having lost one or both of their parents. The work of SOS Children’s Villages involves taking care of children who have lost their parents and carrying out preventive work for those families where there is a risk that this might happen. 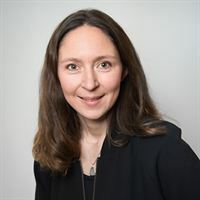 For example, psychological support is offered to children and parents, with the children being given both help to express their emotions and an opportunity to play and to be children. Families also receive financial and material support and assistance with further education so that they can provide for the family. Basic needs: Distribution of, in the first instance, food and hygiene articles, as well as items for small children, materials to repair buildings, clothing and radiators. Health: Secure access to healthcare and/or medicines, as well as training in first aid and reproductive health for parents. Psychosocial support in the form of individual psychotherapy, group discussions, individual advice and educational initiatives. Education: Distribution of school materials, support teaching and speech therapy teaching for children with special needs. Leisure time activities in connection with celebrations such as Easter, Christmas, etc. Leonid’s family was wrestling with problems such as depression and alcoholism when they came into contact with SOS Children’s Villages. 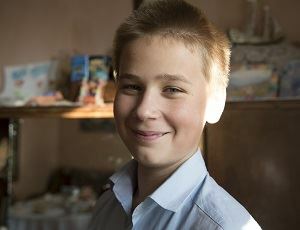 Leonid had heard in school about computer courses that other children had attended through SOS Children’s Villages, and he told his mother Inna that he had heard that there was a chance to find help. At first Inna was reluctant to accept help, but eventually she agreed to speak with SOS Children’s Villages about support for the children’s schooling. SOS Children’s Villages helped the family with a plan for the future, educational support and purchases of necessities, while the parents had to promise to do all they could to change the situation. Inna and her husband started therapy sessions at SOS Children’s Villages, and the children had the chance to take part in various activities and workshops in the village. Inna has started to train as a beautician and Leonid, who dreams of becoming a chef, has had the chance to train in a restaurant. I would like to thank all employees for your hard work in 2017, thank you for your contribution to SOS Children’s Villages and their work in Ukraine, and I wish you all a very Merry Christmas.